Two weeks have passed since we left Charleston, and now that there is time to reflect on our year there, I’m reminded of so many things that we will miss. This time last year, we moved to Charleston for Paul to train under these outstanding surgeons, the head and neck surgical oncologists at the Medical University of South Carolina. We were sad to leave Louisville, but we were excited about the professional and familial adventures that were ahead in Charleston! Dr. Josh Hornig, our family, Dr. Jeff Houlton (the other head and neck fellow) with his family, Dr. Terry Day, and Dr. Judy Skoner. Before we left Louisville, we were advised to join a church, despite the fact that we’d only be living in Charleston for one year. We joined James Island Christian Church- a church that we will deeply miss! 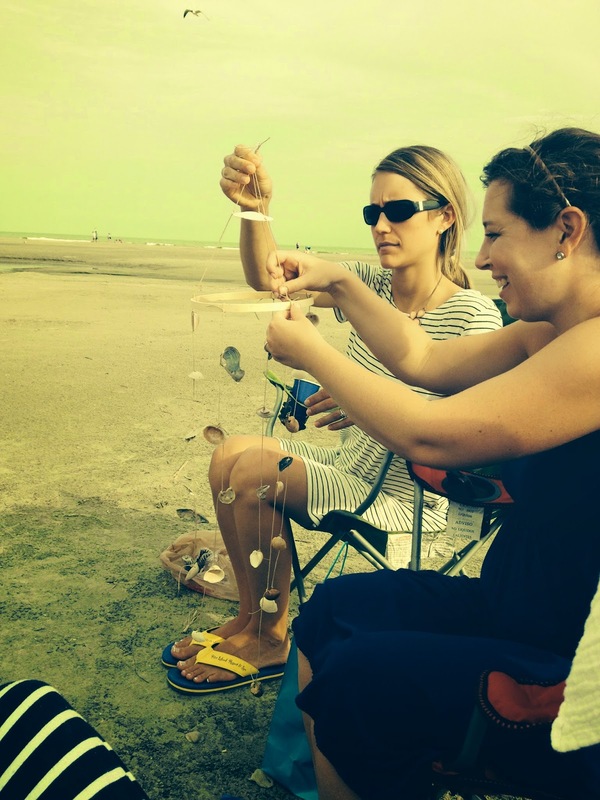 We greatly benefited from the excellent teaching as well as the close-knit community at that church, and we look forward to returning there when we vacation in Charleston in the future. If our boys remember any of this past year, I know that they will miss the weekly beach trips, the beautiful parks, watching military airplanes and helicopters fly over us just about every day, strolling over the Arthur Ravenel bridge, searching for alligators, playing at our friends’ beachfront homes, and exploring their backyard which was filled with dirt, sticks, palm trees, bugs, lizards, and who knows what other creatures. I will miss many of those same experiences. 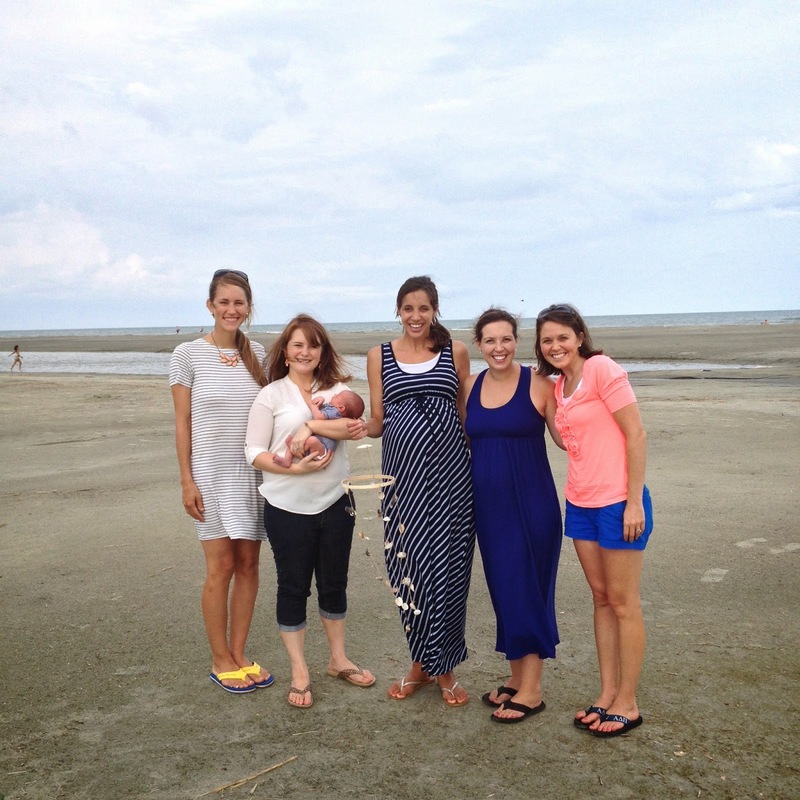 But what strikes me most about our year in Charleston is God’s kind provision of friends- whom we already miss. 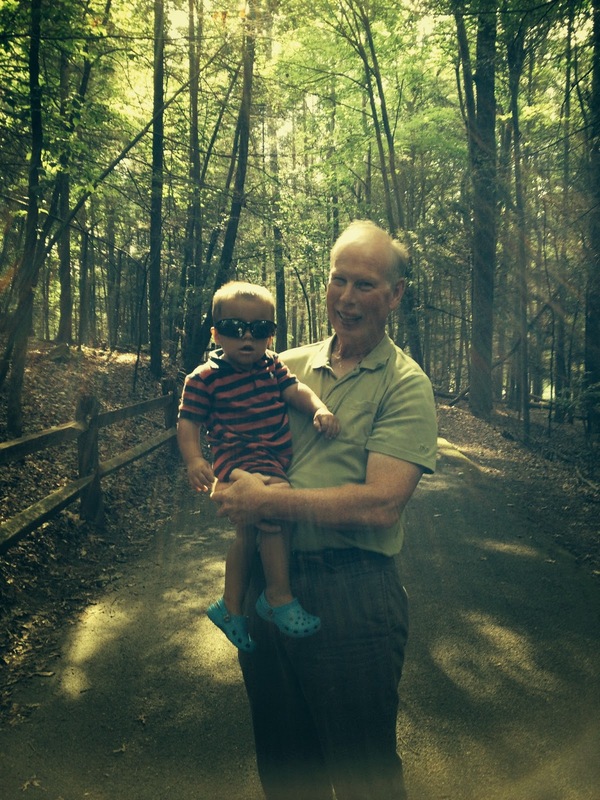 When we left Louisville, I had been praying for Paul and me to each have one likeminded friend. I knew Paul would be working very long hours, and I did not want to get bitter, lonely, and stir-crazy at home with the boys. It should not have surprised me when instead, God answered that request in abundance! Upon our arrival to Charleston, Paul became friends with many of the students and residents- especially these guys, Sam and Jay, whose families we met with weekly for community group. Our Sunday night get-togethers were by far one of our favorite parts about this past year, and their wives were so sweet to quickly befriend me and our boys. Jay, Sam, and Paul. I can't believe this is the only picture I have of these guys. Thanks to Jay's wife for taking this picture! 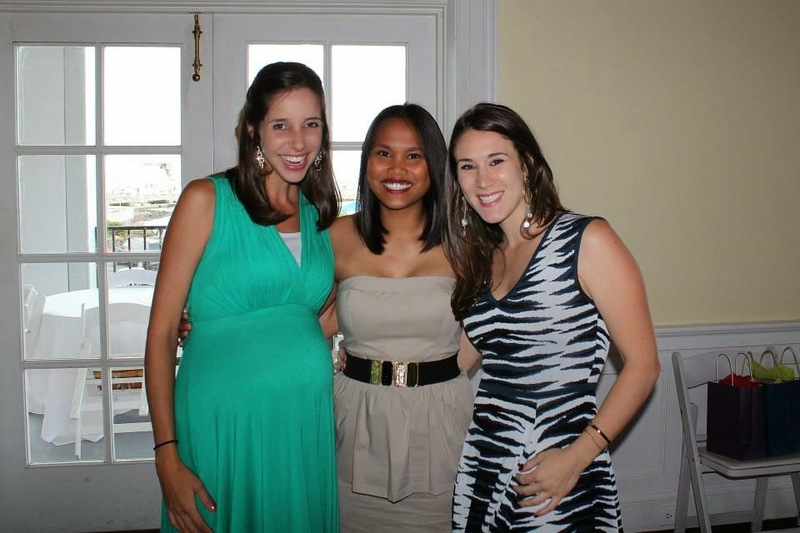 Ashley, me, and Sarah- all over 33 weeks pregnant at this point! 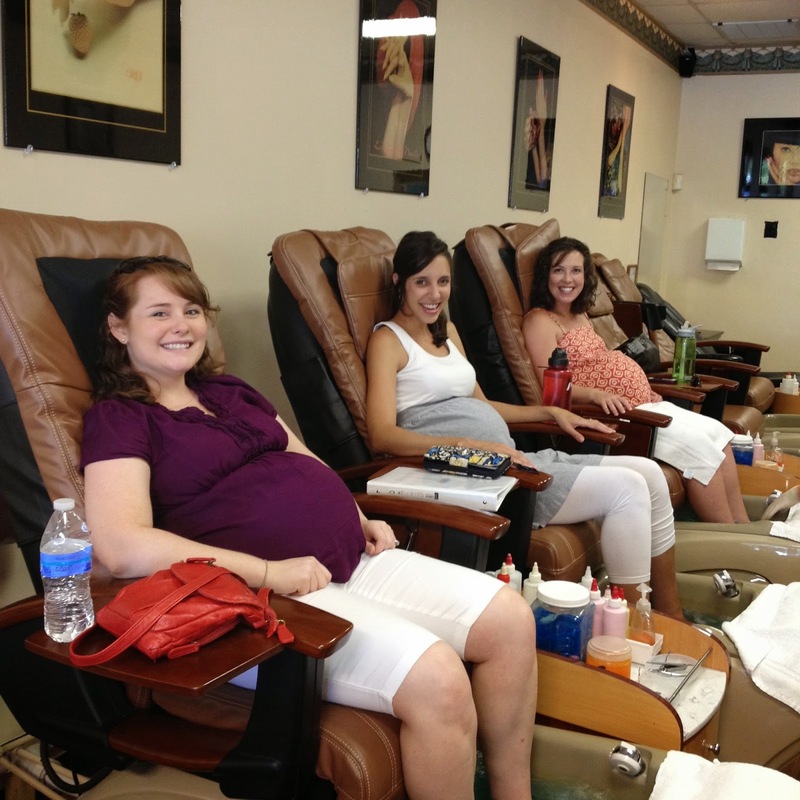 Amanda bought all three of us pedicures while she and her husband babysat all 6 of our children! This is one small example of why I treasure their friendship. These girls were sweetly insistent on celebrating our 3rd child. 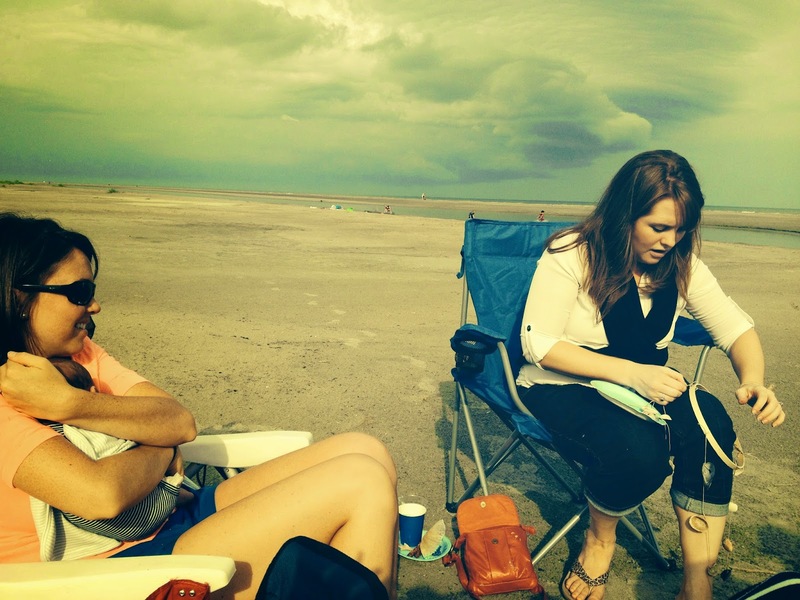 Despite the fact that two of them had 2-week-old sons and that one of them was also moving to KY a few days later just like us, they threw a shower on Sullivan's Island where we prayed for our son and enjoyed treats and lemonade. 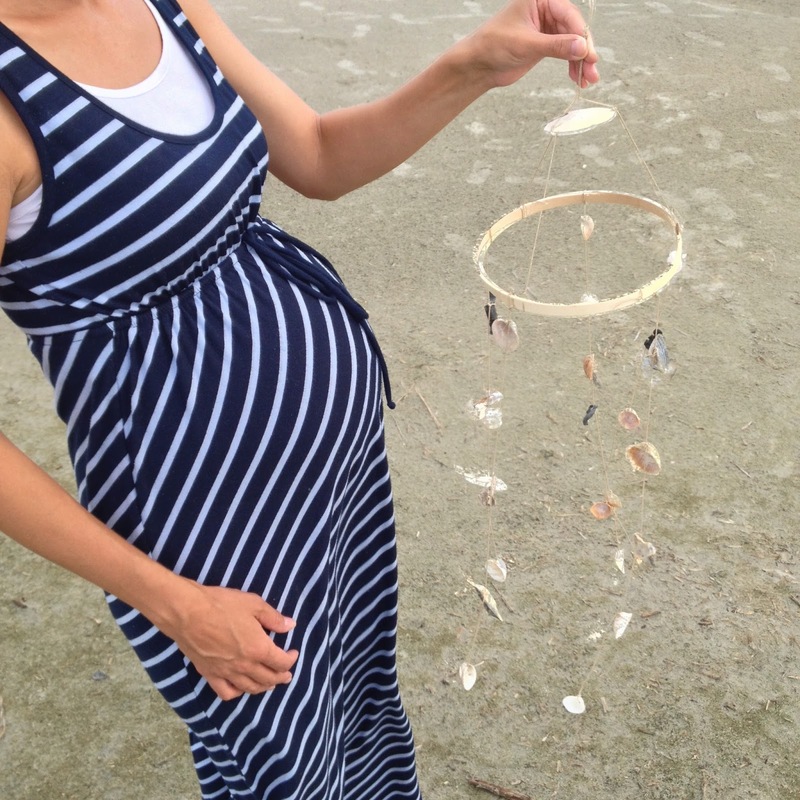 We also picked up seashells off the beach and made a baby mobile out of them! This was such a meaningful gift, and it's currently hanging in our boys' bedroom. Rachel, Ashley w/ baby David, me, Sarah C, and Amanda. 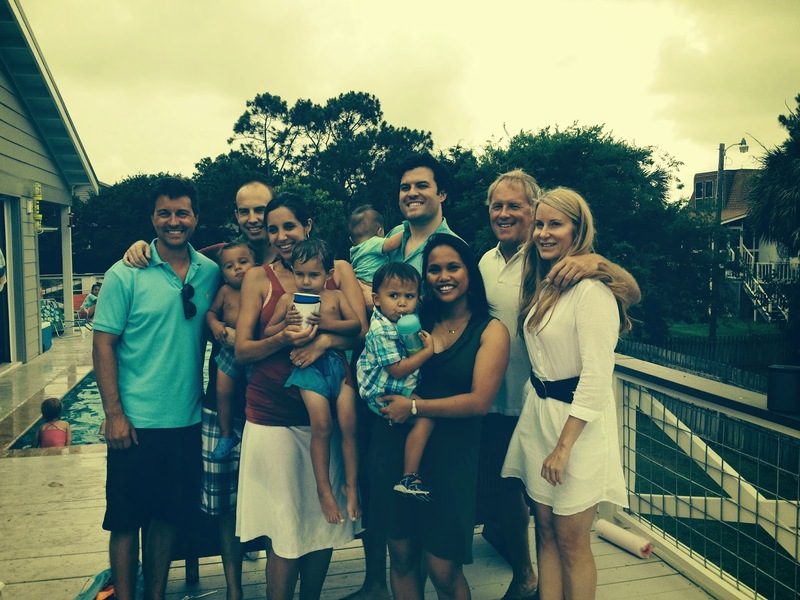 Another treasure we'll take with us from Charleston includes the friendships we were able to form with the other ENT fellows and their families: the Gudis family and the Houlton family. 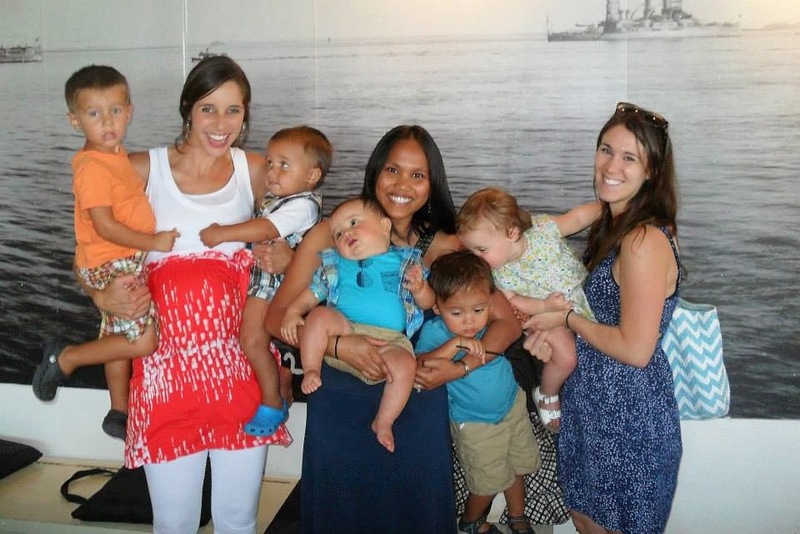 From the first week we arrived in Charleston, Charlotte, Crystal, and I got our kids together weekly for playdates at the Houltons' gorgeous waterfront home, and our friendships grew week by week. We, too, underwent various hardships and big decisions during our year in Charleston, and I'm grateful for all of the conversations we shared. I love these girls and will miss them very much! Paul and I hope to see the Houltons at future ENT related events, and we are still set on convincing the Gudis family that Louisville is just as thrilling of a place to settle as New York City! 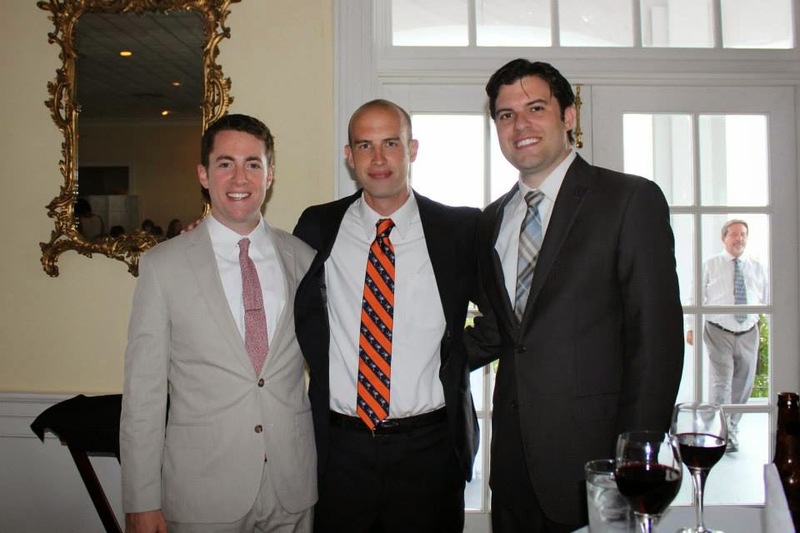 David Gudis, Paul, and Jeff Houlton. This picture accurately displays our weekly get togethers! Oh how I will miss them. We bid a sad farewell to our Charleston friends, and the boys and I headed towards Louisville while Paul finished up in Charleston. 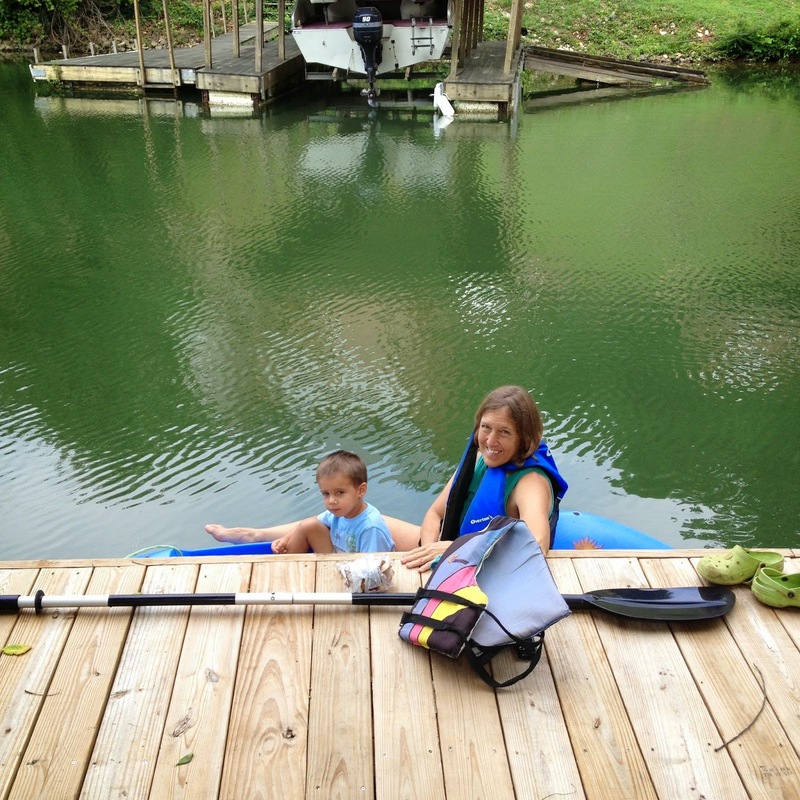 On the way there, we enjoyed making a pitstop in Kingsport! 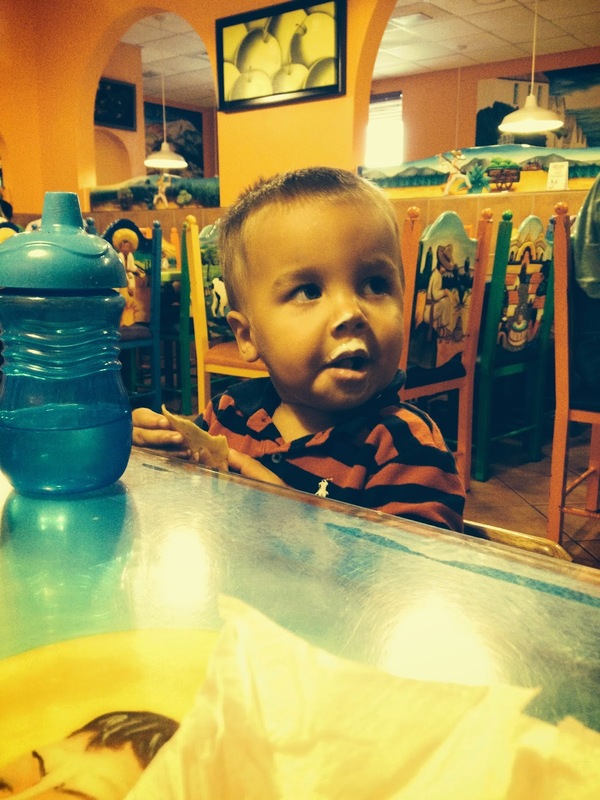 The boys enjoyed spending quality time with their grandparents, and Caleb clearly enjoyed his first experience at La Carretta. And alas, we arrived in our new "home," Louisville! God once again reminded us of his gracious provision of friendships as we entered our home to a stocked fridge (thanks Meg, Jill, and Bethany) and meals courtesy of the Frantz and Lindblom families. Paul has joyfully accepted the position as an associate professor of head and neck surgical oncology in the ENT department at the University of Louisville! He considers it an honor to work among those who trained him, and we praise God for sending us back to Louisville! While we will miss our beloved friends in Charleston, we are enjoying the surreal experience of finally settling in a city that we love so much.